This man fixes his eyes on the customer with a sharp stare, extends his middle and index finger and serves the freshly made piece of sushi with panache. 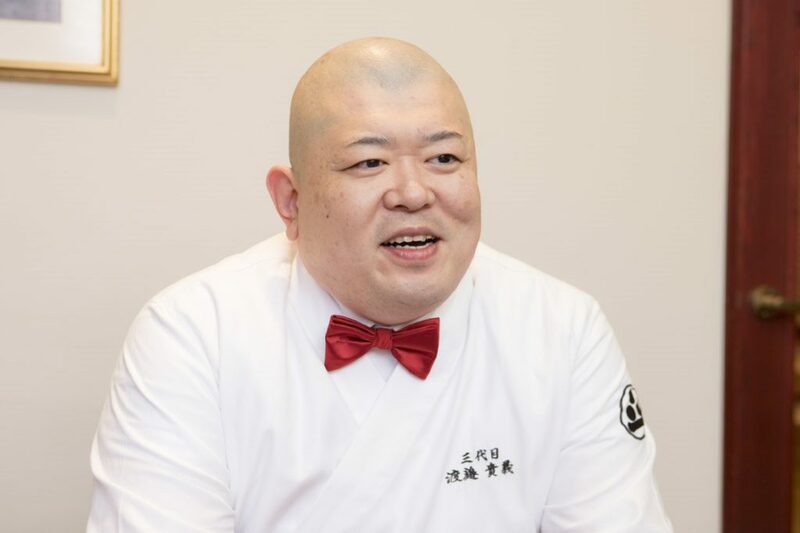 Once featured on the cover of gourmet magazine Buono, Teru Sushi’s owner Takayoshi Watanabe may be a familiar face for many. 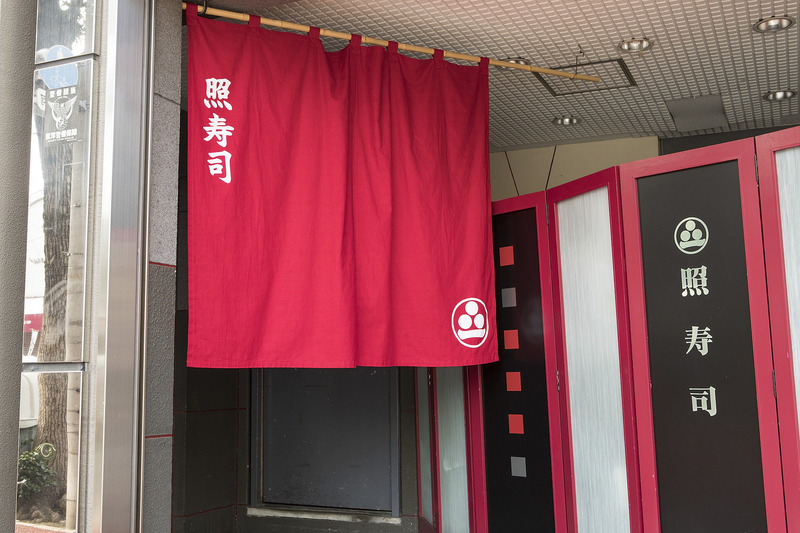 Located in Tobata, Kitakyushu, his restaurant may not be easy to access but it has garnered fame for highly entertaining performances and is now frequented by customers both from Japan and abroad. 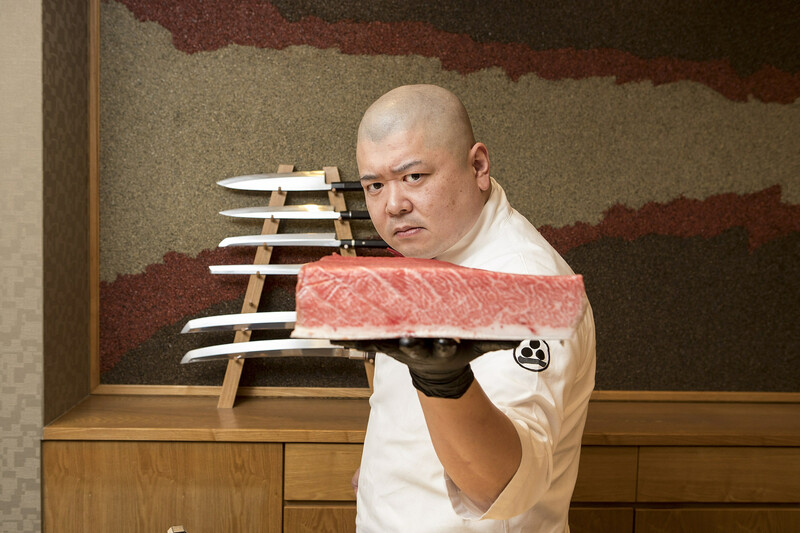 Takayoshi Watanabe’s restaurant transformed from a casual rural joint to an internationally acclaimed establishment. 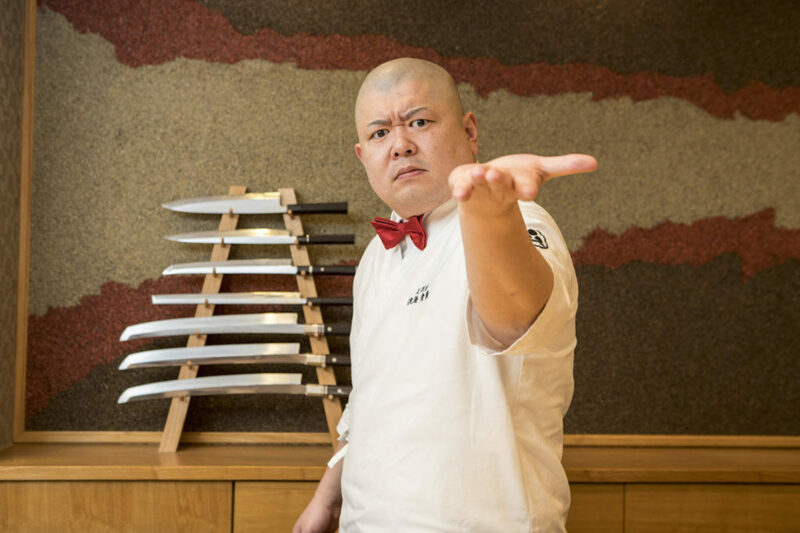 We talked to him about his roots, his approach to sushi, and how he runs a restaurant in the countryside. Point1. After graduating from university, he was planning to be a manager, not a chef. How was it growing up as the oldest son of a sushi chef? It was your typical rural sushi restaurant that did catering and parties. The glass case on the counter was packed with fish and the restaurant itself was an extension of our wooden house. After coming back from school, I would pass the counter to get to the living area. My father’s apprentices also lived with us, so I would join them for staff meals. Sushi was a part of my daily life. Was becoming a sushi chef the obvious choice? Not at all. When I was young, I wanted to be a chef specializing in French cuisine. I didn’t think I would end up as a sushi chef. At the time, I was a chubby crybaby. I wanted to become stronger, so I started practicing judo when I entered junior high school. Judo took up all my time until university. Personality-wise, if I like something, I get absorbed in it. The stronger I got, the more I liked practicing judo. I also enjoyed getting a workout. Unfortunately, my judo record wansn’t that great. However, I loved working out and in my university years, I could bench press160 kg, do 40 pull-ups, run 100 m in 12 seconds and 400 m in one minute. Training yields results, and that’s what I liked about it. You were so into judo. What made you decide to take over Teru Sushi? Teru Sushi was a popular restaurant in my hometown. Since I did only judo, I thought it would be better for me to run the restaurant as a manager instead of a chef. For that reason, I even considered studying the know-hows of managing large food chains, but i found myself longing more and more for my hometown Tobata, so I returned. My father chose my apprenticeship. The chef I trained under was strict, but extremely passionate about food. Rather than just teaching me techniques, he taught me how to approach cuisine. He was talented and held himself to high standards, so I was able to learn a lot from him. Those experiences have become the foundation of my cooking. Nevertheless, it was an old fashioned place. As the son of a famous local sushi restaurant, I was probably an eyesore to the other senior apprentices. I was beaten and bullied. I could have hit them back, but the most important lesson I learned from judo is that endurance is the strongest quality. I quietly put up with all of it. Did you start working at Teru Sushi after that apprenticeship? No. 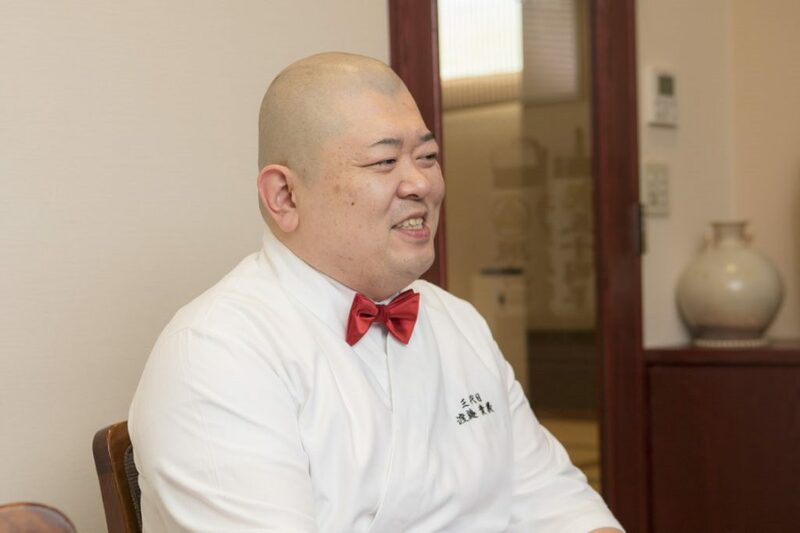 Since Teru Sushi also did catering and banquets, I wanted to learn more about it. I started working at a local hotel which mainly held weddings and banquets. There, I had to clean fish and make sashimi for about 1000 people a day. I worked there for about one and a half years and then moved to Teru Sushi. Timing was an issue. I couldn’t just jump in while the predecessor was still working; both of us had to make preparations. When I finally did join, there was nothing for me to do. I did administrative tasks like answering the phone, making deliveries, and preparing invoices. It was only after two years that I was finally able to make sushi. How did you start making sushi? My predecessor was quite strong willed and he asked me to take on the chef’s role. He also used to be a sushi chef in a different restaurant. Ever since our restaurant was renovated into a large building, we started serving a large number of customers. Catering and banquets became our main business, so my predecessor decided to take over the administrative aspect and leave the kitchen side to the chefs. Each day, I was making 1000 pieces of inari sushi, 300 to 500 pieces of sushi rolls, and 2000 pieces of nigiri sushi. You had to be fast with your hands. A sushi chef is like a lone wolf. It’s a world where most chefs have their own distinctive style and I had been struggling with myself and Teru Sushi for 10 years. It was also around the time when sushi joints in Ginza like Jiro Ono’s Sukiyabashi Jiro and Koji Sawada’s restaurant started popping up in the media. That’s when I started hoping to become a famous sushi chef. I was impressed by Ginza and Edomae sushi, and I started leaning towards that style. I felt like I was moving in the right direction. Whether customers showed up or not, I procured and prepared the ingredients and waited behind the counter. At the time, we charged ¥3500 per person. It was rare for customers to show up. What drove the change from a casual-style sushi restaurant to your current style? I really wanted to become famous. If you are delivering or catering, you don’t see the faces of your customers. To be famous, I had to interact with my customers. If we had continued working that way, we would have never found fame. We had nothing innovative to offer, and I personally couldn’t stand at the top because I didn’t have any power. 10 years after entering Teru Sushi, the chefs from the previous generation started retiring and I thought of creating a new Teru Sushi. That’s when I came across a 300 year old hinoki wood plank. I negotiated with my predecessor and we replaced the glass showcase counter with the plank. However, the newly renovated interior didn’t do much to draw in customers. Did you change anything else except the interior? I took over the restaurant at the age of 28 and started focusing on the ingredients at the age of 30. There is a vendor that sells fresh seafood from Oita and Nakatsu. That’s where I came across all kinds of new and unusual ingredients. They are still one of my most important suppliers to this date. I was impressed that I could find such amazing ingredients in Tobata and I wanted it all for my restaurant. I purchased all their best ingredients.I was even more impressed that this kind of food exists and I wanted more people to know about it. That’s when I started posting on Facebook. Initially, I would get just a couple of “likes.” However, I started connecting with more and more producers through Facebook and learned new methods of handling ingredients. It paved the way to new connections and discoveries. If I found any interesting producers, I would get their contact information and meet them directly. I delved into searching for and selecting good ingredients. I found about Kumamoto’s Kikka Chardonnay through social media as well. I couldn’t get my hands on it for the first two years, but after steady communication, I was finally able to purchase a number of bottles. When someone intrigues me, I try to meet them and maintain communication. I make the move. It ends up opening a whole new world for me.